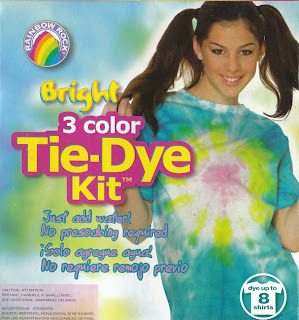 This is the cover of a tie-dye kit we got over a year ago, but have never used. There's something about this girl's face that creeps me out a little. I'm not sure what it is. Perhaps the curiously long and overly mature eyebrows?